Hammersmith Bridge is a gravity-anchored chain suspension bridge crossing the Thames from Hammersmith to Barnes. Designed by Sir Joseph Bazalgette and built by Dixon, Appleby & Thorne, it was opened by the Prince of Wales on 11 June 1887. This current bridge replaces an earlier structure by William Tierney Clark which was the first suspension bridge to cross the Thames. The annual Oxford and Cambridge University Boat Race passes under the bridge just before the halfway point and crowds of people gather on the bridge for a good viewing point. 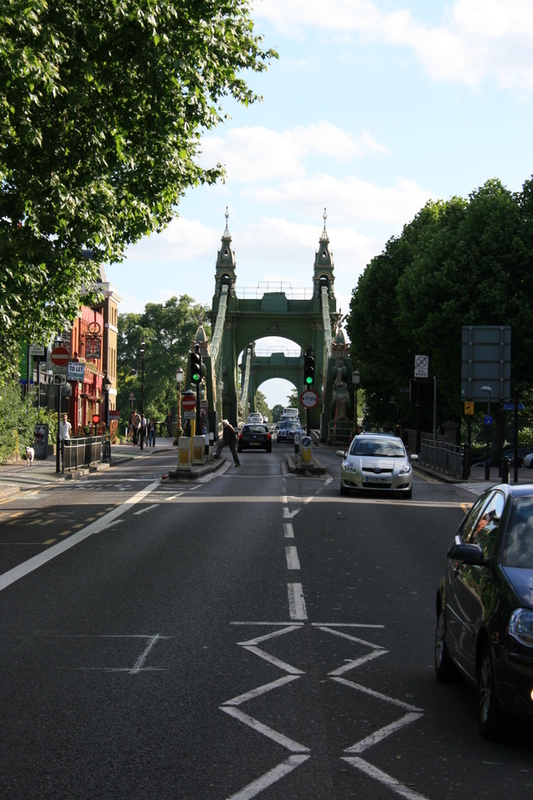 Hammersmith Bridge has long suffered structural problems, closing to cars in the past, but its Grade II* listed status ensures that its unique character will be preserved. What are the best dining options near Hammersmith Bridge London? Hammersmith Bridge gyms, sporting activities, health & beauty and fitness. The best pubs near London Hammersmith Bridge. Hammersmith Bridge clubs, bars, cabaret nights, casinos and interesting nightlife. Where to have your meeting, conference, exhibition, private dining or training course near Hammersmith Bridge. From cheap budget places to stay to luxury 5 star hotels see our discounts for Hammersmith Bridge hotels, including Hilton London Olympia Hotel from 89% off.